Did you know it's estimated that 95 percent of all used clothing, footwear and other cloth household products such as sheets, towels, curtains, and pillowcases can be recycled? However, these items and other textiles should not be placed in your household recycling bin. Tossing your unwanted clothing into your regular household recycling bin creates major issues for the recycling facilities that handle your usual plastic, metal, glass, and paper. 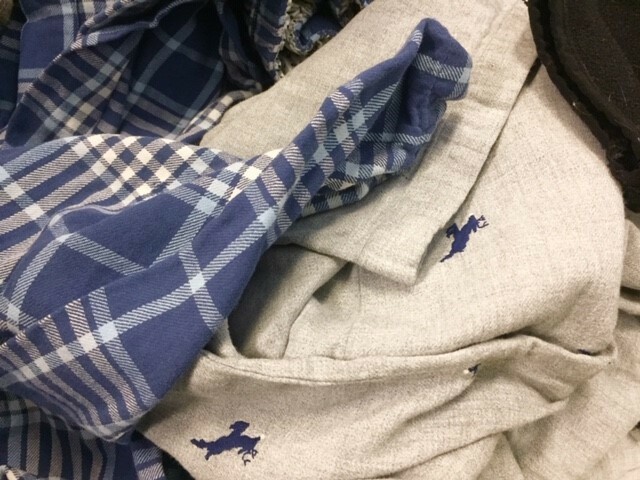 Clothing items become wrapped around recycling facility equipment, causing machinery jams and compromising worker safety. Traditional recycling facility equipment is designed to handle bottles, cans, paper, etc., not your clothing. Clothing and other worn textiles need to go to a specialized recycling facility with equipment designed for recycling textiles. Find a textiles drop location near you and learn more about proper textile reuse and recycling. #RecycleRightNY is a 12-month education campaign for 2019, focused on supporting efforts to reduce contamination in residential recycling programs across New York State. The campaign focuses on educating residents on one recycling topic per month. Campaign materials including monthly social media and a newsletter article are available for use in your own social media and digital and print newsletters. Visit Recycle Right NY campaign to learn more and for instructions on how to receive free downloadable campaign resources. Remember to tag #RecycleRightNY on your social media!